Aunque es cierto que los indios pueden ser tramposos y estafadores, para mí mi mejor experiencia del país fue su gente, descubrirle la bondad a cada rato, especialmente en los momentos que más lo necesité. Hello everybody!! ´ I'm Adriana, the mexican girl you met in India. I just want to write this collective e mail to say thanks to some of the people who helped me during my trip in India. Maybe I should write to each of you, but as I'm now stitll travelling to do so is more difficult for me. Thanks to everyone, receive my best regards, and all the best for you all!! 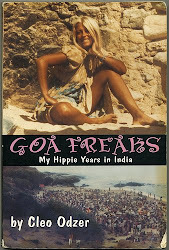 In GOA Sharon: I hope you're fine now back home. Vagator was a great option to stay, I relly enjoyed myself at the beach. Good luck with your business girl!! I'm now in Barcelona, probably I'll cross to France in some days... Manu: I had a great time at your guest house. And thanks for the games you teached me, they helped me to spend time playing with indian children at the train... In KERALA Jackson: My best regards to your family. Thank you very much for showing us the spicies at your place, it was a really unforgetable experience. I'll send you the pictures as soon as I can, and I promise you to visit you again some day!! In PONDICHERRY Hiro: Thank you so much for your great advise. I had a great time at Samasti and as soon as I go back to Mexico I'll be working on my articles. Send me some of your pictures!! I'll never forget our meeting in front of the sea in Pondi... Janet: It was a lucky chance to meet you again at Pondicherry, after meeting at the airport. Give my best regards to Victoria, thanks to her I found a really great place to stay in Pondi. Sham: What can I say guy? You will always be my first indian male friend. Thank you so much for showing me Pondi, without you my memories of the city won't be so amazing. I hope to see you some day in Mexico, or in any other place of the world. Whenever you come to Mexico city or to Taxco, just let me know. In AUROVILLE: Yann: Espero que estés bien en Francia. A mí el golpe de salir de India me fue demasiado duro, pero afortunadamente Barcelona es una ciudad amable que me recibido con calidez. Lilo: Are you still in "our" room? It was a great experience to share room and life experiencies with you. I hope you to have a pleasent return to your place. You made my so much to think in my mother... About your daughter... I hope she realize soon what's better for her. And you must write something about Auroville, too!! Umesh: I hadn't forget you, just wait a bit more for the photos. Hope you had a great holiday!! Keri and Coren: are you back home guys? You are such a lovely couple that I just want to wish you all the best, no mather if you settle in Auroville or in any other place of the world. And you both, are so special... Caroline: I hope you're fine girl. Meeting you was great, and I'll never forget our art cookies!!! jojo. Please send me the pictures you take of the cookie tree!! Antarjyoti: Thank you again for the nice lunch, and for the trip without moving to the coast of France. Give my very best regards to Rosa, even if I din't had the chance to meet her in Auroville I'm sure she's an extraordinary woman. Could you give me her e mail adress please? Enjoy your trip to Europe, hope to see you in another place of the world and thanks for being my "guide" in spiritual matters in Auroville. To all of you: As soon as I can I promise to send you all the pictures!!! In DELHI: King: I hope you enjoyed the mexican dinner. 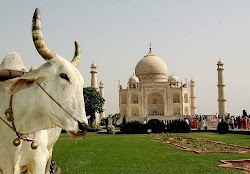 Take care Sylvia: I finally didn't go to Dharamsala, but I spent 3 days in Agra with the Taj!!! I hope you have a nice trip, take care girl!!! It was really nice to meet you. Ashton: to speak for you record made my realize how important are some certain topics to me. Thank you so much for the book, is now in Barcelona with me, and maybe in Morocco or Mexico I'll pass it to the next reader!! Have a nice time in Nepal, nothing is better than travelling for a broken heart. Keep in touch guy!! Leticia: Gracias por tu recomendacion del bazar. en mi ultimo dia en India fui no a ese, pero a otro bazar local y fue increible. Ahora estaras en Italia y yo en Barcelona... Al final por un desastre con los vuelos parece que no iré a Lisboa... Cuídate, nos vemos en otro lugar del mundo, mantente en contacto. If you want, you can send me information about ecological issues and I can send you information about political prissioners, ecology... you now, about another possible world. Isaac, Shannon and Zulma: You guys were just like angels to me. Only because of you I took the risk to spent the night at the airport, and only in that way I got a new flight to London. hope you're now in China, all the best for your trip! !